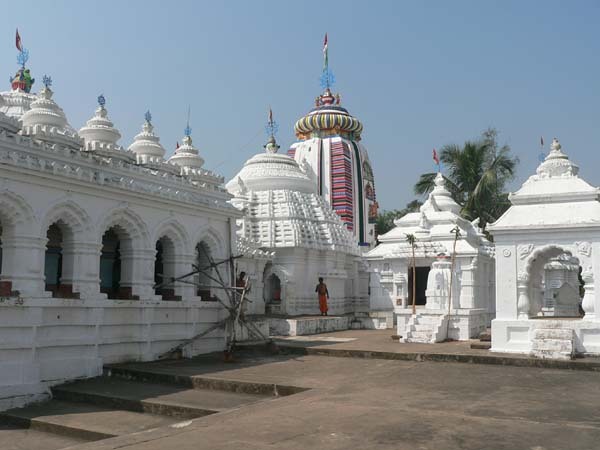 Nilamadhav Temple is one of the oldest and famous temple in Odisha which is situated at the bank of Mahanadi River, Kantilo of Nayagarh district of Odisha. This temple is a Lord Vishnu Temple which is surrounded by two twin hills and forest. The beauty of this temple is really wonderful and this place is a great place for the nature lovers. Lord Siddheswar is also present which is also one more attraction of this place. Lord Nilamadhava occupies a central position in the cult of Lord Jagannath.Even now also Lord Nilamadhava shrine is present on the right side of Lakshmi temple in Puri Jagannath Temple. It all initiated in a small cave in the Brahmadri hills situated on the banks of Mahanadi, which is known as Kantilo of Nayagarh district today. Here, Biswabasu the local Sabara Chief worshipped Kitung, as the God was known in the Sabara dialect. According to the Puranas, the deity was originally worshiped in the form of an Indranila gem image known as “Nilamadhava“. The daru murty came much later. 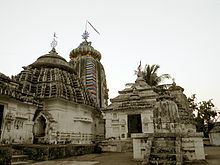 Located near the confluence of three rivers Mahanadi, Kuanria and Kusumi the temple structure is like the Jagannath temple of Puri. It stands on the right bank of Mahanadi. It is called triveni sangam of Odisha. As there is Beni-Madhava in Prayag, so as here Nilamadhava. Road Way- There is a good motorable road. The place is situated near Nayagarh District and is 100 km from Bhubanewswar. Give Responses for "Nilamadhav Temple, Kantilo, Odisha"